If you don’t know where to start when it comes to choosing flowers don’t worry, Aberdeen Flowers offer a best sellers range including all of our bouquets that our customers liked the most that come to £30 or less so you can rest assured that the flowers you chose will be beautiful and whoever your recipient may be they will be guaranteed to love them. You can order Aberdeen Flowers for birthdays, congratulations, get well soon, anniversary or any other occasion on which you may wish to send flowers. Our flowers come in bouquets, vases, and baskets too, if you have any questions about our products or service you can contact Aberdeen Flowers and we can happily help you with whatever you need. We have a dedicated team of Florists Aberdeen who work hard to ensure that everything we arrange for you will be perfect. At Flowers Aberdeen we import all of the flowers we use directly from Holland to make sure that they are always of an exceptionally high quality so that they will be beautiful and last as long as possible for your recipients to enjoy. Our Florists Aberdeen are highly skilled and will do everything they can to bring you beautiful flowers and gifts suited to you. 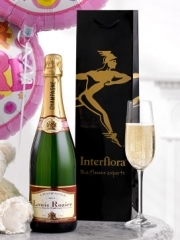 As well as flower arrangements, Flowers Aberdeen offer gift items including balloons, chocolates, champagnes and teddies which are a great complement to any bouquet or arrangement or can even be a great present on their own. Of course Flowers Aberdeen offer delivery on all of these items so that everything you need to treat that special someone can be delivered right to their door, which is always convenient and especially if you can’t be with them or even if you will be there but are too busy to go and find gifts it’s easier than ever to order from your home or workplace so that Flowers Aberdeen can take care of everything for you. Our Best Sellers range under £30 is super if you are trying to stick to a budget or already have an idea of the value you would like your flowers for. Aberdeen Flowers pride ourselves in the options we offer our customers, we think that’s an important factor to providing the best products we can. You can order one of the designs available on our website or contact our Florists Aberdeen to have a bespoke bouquet made up containing your recipient’s favourite colours and flowers or whatever else you think would be best suited to make them smile. At Flowers Aberdeen we love being a part of your gift giving and we always work hard to make sure that everything you need is brought to you when and where you need. Our Flowers Aberdeen drivers always take care when delivering your flowers and gifts so that your recipients will receive everything you order in great condition and will be sure to love everything you have thoughtfully ordered for them. Our Florists Aberdeen are passionate about flowers and many come from creative backgrounds, giving them a flair that allows them to create wonderful arrangements for all occasions. 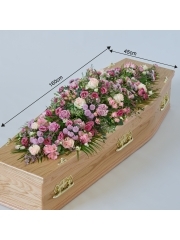 When you order from Flowers Aberdeen you know that your flowers are in the safest of hands from the moment you place your order until the time you specify for delivery because we always want to provide you with absolute satisfaction with everything we do. For any queries or questions you can contact our Florists Aberdeen who will be delighted to help you with whatever you need. If you would rather place your order over the phone you can also do this with Flowers Aberdeen.